Visit PTWATERCRAFT.COM for our boat kits and more! 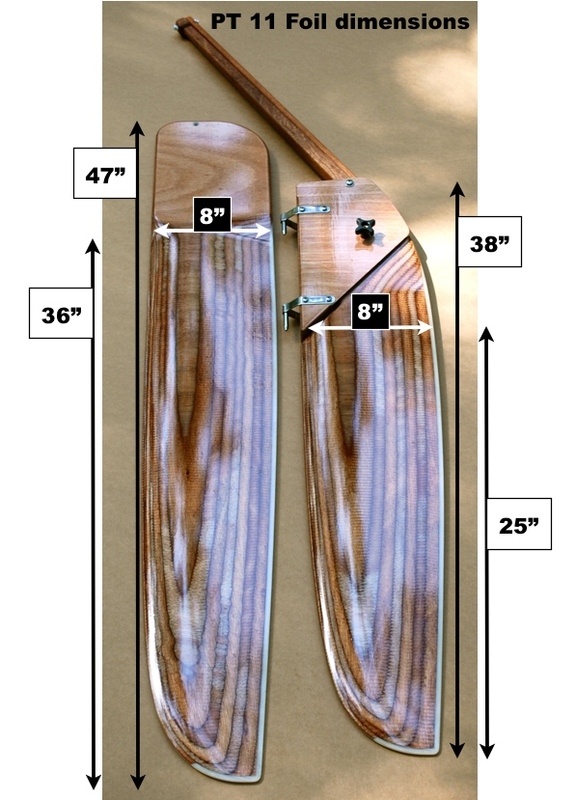 Several people have asked for the dimensions of the rudder and daggerboard that we offer. PT Watercraft is located in Port Townsend on the Olympic Peninsula in NW Washington. It is the partnership of Ashlyn & Russell Brown, desiring to bring modern and innovative designs to the home boat builder. Russell is explicit in his manuals and kit detail, intent on providing very high quality stitch & glue boat kits and related products. Port Townsend is fortunate to have a great marine industry and many have had a part in making PT Watercraft a reality. Turn Point Design, Jim Franken, Townsend Bay Marine, Edensaw Woods, NWSWB, NW Sails and NW Canvas, and also Bieker Boats of Seattle.